So, yesterday's post may or may not have been quite expensive. But it was a very grown up thing to do. Today's post, I am sorry to say, may not be inexpensive, either. Today's assignment is to buy yourself something nice. Why should you rely on everyone else to buy your birthday presents? One of the best ways to celebrate yourself is to buy your own birthday gift. And you know what? If you buy it for yourself, you get to pick it out! Perhaps there's something you've had your eye on for quite some time. Perhaps there's something you haven't been able to justify spending that much money on. Well, my friend, today's the day to make that purchase. After all, you've already put money in your savings account this month, and as long as you've paid all your other bills, you're free to do whatever you like! 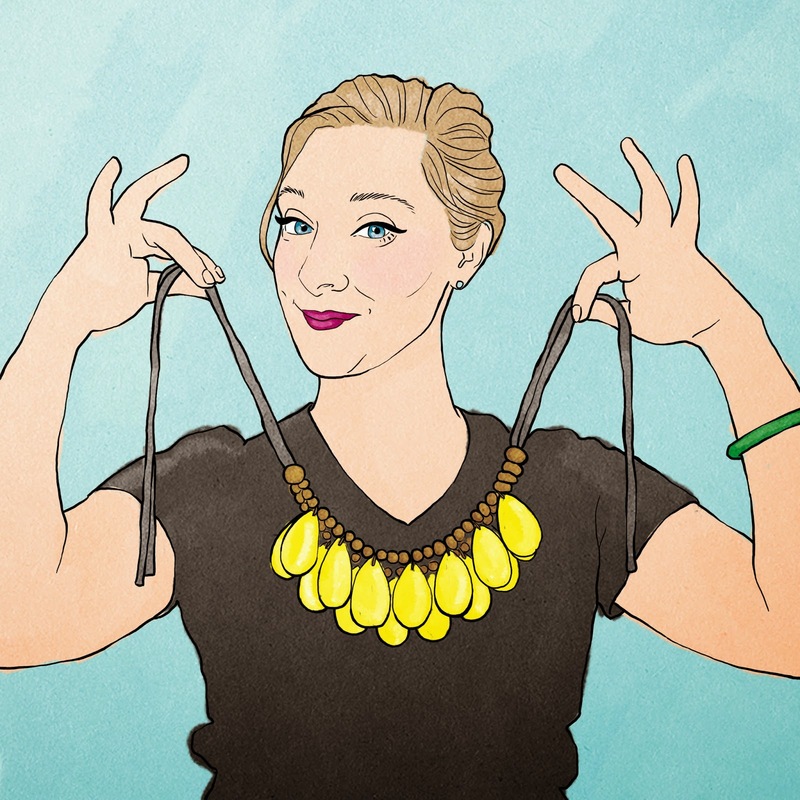 The illustration for today's post is actually of a necklace I bought more than five years ago - maybe even seven years ago. In fact, I did not buy it for my birthday. However, I think this necklace is a perfect example of the sort of thing you should buy yourself for your birthday. It was far more expensive than I could afford for costume jewelry at the time. However, I loved it, and now, years later, I'm still wearing it, and I am telling you the truth when I say that I still get compliments on this one every single time I wear it. More recent years' self-purchased birthday gifts have included a pair of jade-and-turquoise teardrop earrings, a pair of morganite studs, and a handbag that cost much, much more than I care to divulge. But you know what? I love them all, and I wear them all. So, today's the day to splurge and buy yourself something nice. If you love it and you have the money, treat yo' self!